Buy your Kostal Piko MP Plus Hybrid inverter 3.6-2 inverter at the lowest price - online only. This inverter is ideal for domestic self-consumption. 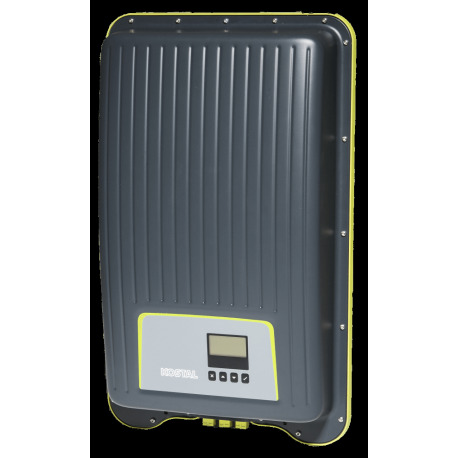 This inverter manages your solar panel production in order not to inject the excess solar production into the grid. The Kostal Power inverter transmits your data for free to the Internet. You can analyse its performance online. You can activate the electrical consumables of your home remotely depending on the solar panels' power production or according to a specific schedule. You don't have enough power? This inverter can take from the electrical grid without power limit. Turn yourself into a fully independent electricity producer. Quick start: The key advantage of the Kostal Piko MP Plus Hybrid inverter 3.6-2 inverter lies in its low voltage start up. As soon as the voltage starts, your inverter will transform energy to generate electricity. This means a considerable performance gain for your photovoltaic installation.